West Hill Baseball League is always accepting Sponsors! We have approximately 40 teams every year. 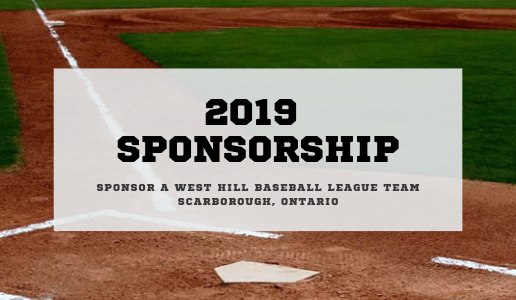 If you would like to see your business name on the Team Jerseys, please contact our Director of Sponsors, Greg Blazina (sponsors@westhillbaseball.com, 416-500-6190). See attached letter and sponsorship agreement from our Director of Sponsors.